My family has two dogs and two cats, whom I love to visit and give love to as much as possible. Animals have always been a part of my life, and for the past 10 years or so, I have been a pet sitter for friends, neighbors, and family members. I’ve taken care of dogs and cats of different breeds and sizes and have loved each one. Animals have always held a special place in my heart, so I was very happy when I found Katie’s Kitty. I’m glad I am able to continue caring for them in NYC through Katie’s Kitty! 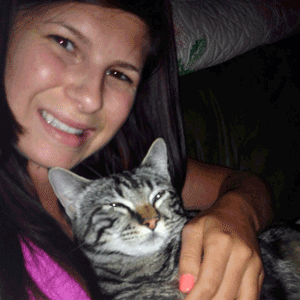 Contact us to arrange a time to talk with Alicia about your cat boarding or cat sitting needs!